In this episode of In Process Podcast: Conversations about Business in the 21st Century, Trusted Counsel’s John Monahon and Valerie Barton (filling in for Evelyn Ashley) speak to Dan Bradbary, Founder and Managing Partner of PMI Advisors. An accomplished entrepreneur, speaker and author, Bradbary has extensive experience with founding and selling various businesses. He founded PMI Advisors in 2017 upon recognizing the under-served needs of mid-market companies regarding post-merger integration. Since its founding, PMI Advisors has expanded practice to other phases of business management and operations, ranging from business continuity planning, sale preparation, business process optimization and divestiture and carve out. 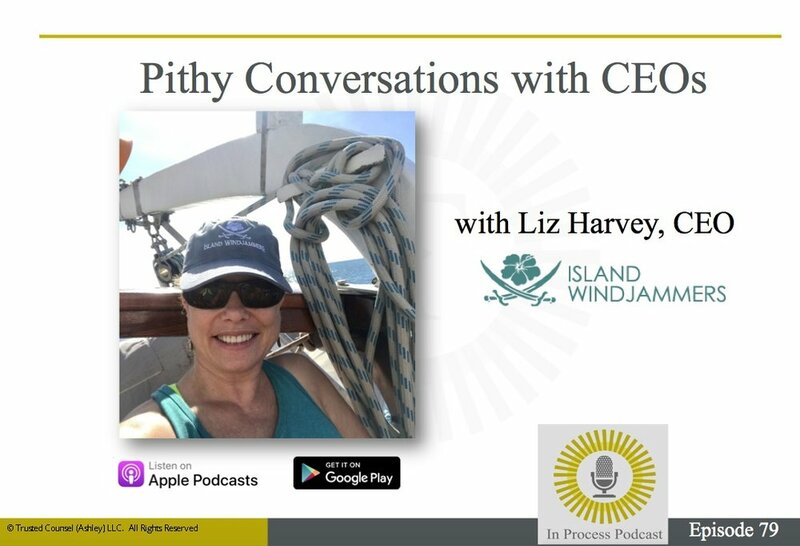 According to Bradbary and PMI Advisors, when preparing a business for sale, the Owner/CEO needs to approach the exit strategy with the same focus and drive that helped to build the business. Hence, an Owner/CEO who is “ready” with an attractive business will greatly improve their probability of a successful business exit. Selling a business is a complex process. A consultant will guide business owners through the steps that often include some sort of readiness assessment, plan development, implementation and value optimization. Having a transition team is favorable because they will work alongside you to address all issues involved with selling a business. There will be tax planning needs, legal compliance and succession plans that might need to be put into place. Once you have your transition team in place, schedule an introduction “kick off” meeting. An advisory board does not have the legal tethering like a board of directors has – it’s more informal and easier to assemble. It’s comprised of qualified subject matter experts that have knowledge of your industry and specialties in areas such as technology, marketing, sales, operations or human resources. They offer suggestions and non-binding recommendations about key elements to make sure your business is attractive to buyers. It is very exciting to receive an offer, but Bradbary warns, “you don’t need to rush into signing a letter of intent.” The main area of concern is that once the letter of intent is signed, the business is taken off the market for several months. You need to be prepared to be locked in during that time period. By taking these key steps you will be well on your way to drastically improve your probability of a successful exit. Be sure to listen to the entire interview below. 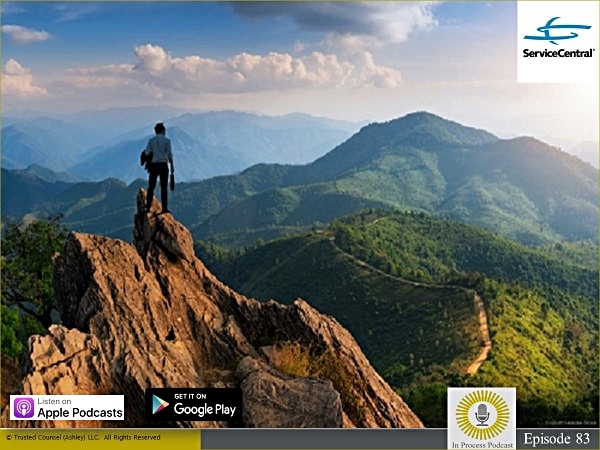 In this episode, Trusted Counsel’s Evelyn Ashley and John Monahon spoke to Steve Teel, President and CEO of ServiceCentral Technologies, Inc. ServiceCentral was founded in 1991 and is a private company headquartered in Atlanta, GA. The company provides web-based reverse logistics, service and repair management software solutions to companies to transform the after-sales service of product into a profit stream. ServiceCentral has gone through two acquisitions; the first in 2005, the second in 2017. As a result, their employee base has grown by 30% and the company has increased revenue by 50% (some of which is attributed to the joint venture opportunities their software enabled). A key component of Accusoft’s strategy for growth has been through acquisition. In this episode, Trusted Counsel’s Evelyn Ashley and John Monahon spoke to Jack Berlin, CEO of Accusoft. Accusoft is a leading document and imaging software company based in Tampa, Florida. Founded in 1991 as Pegasus Imaging Corporation, it’s a privately held company that has grown to approximately 160 employees. The company has gone through several acquisitions and now provides a wide array of technology solutions to developers worldwide. Looking back, the early days for Accusoft, were tough. In fact, two of Jack’s four business partners were gone within the first 18 months of founding the company. When the business plan nearly failed, the company had to reconsider the big picture. In order to stay afloat, it was decided to embark on the acquisition path. Along the way, the brand was reinvented several times, the service side was dissolved and a focus on technology became the number one priority. Jack said, “…by combining into a larger entity we would have more market clout, build a better business and a faster growing business, and lastly a more profitable business under the same roof.” Since their first transaction in 1997, Accusoft has completed multiple acquisitions. “Out of all of the acquisitions that we did, the 2004 acquisition of TMSSequoia was one of the scariest things I ever did in my life, but in retrospect, it was one of the smartest things I did,” Jack said. His team knew it would be a smart deal. At the time, TMSSequoia was a public company and its history can be summed up as a merger gone bad. It had gone through five presidents in six years and was poorly managed, hence the negotiations for Accusoft were fairly easy. The transaction created major customer extension opportunities and access to top engineers for the company – and made Jack and his executive team understand the value and importance of growth through acquisition.